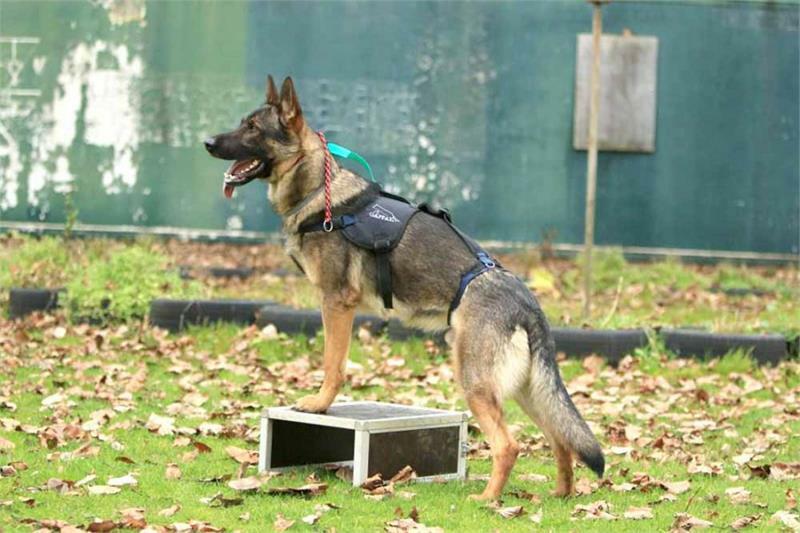 Gappay Oleynik Training Harness is designed to teach the sit, lie down, stand. It is fully adjustable and one size fits most large working breeds (GSD etc). Tobias Oleynik's training method how to teach your dog these positions quickly and efficiently. **This is a teaching harness. DO NOT EXPOSE enormous power, tracking, pulling weights, dog sleds or other sports.